Previously we shared some essential veggie survival tips just in case you were planning to go to one of the Top 5 Toughest Places to Be Vegetarian (which you may be interested to know were Argentina, Central Asia, Germany, Philippines, and Portugal). 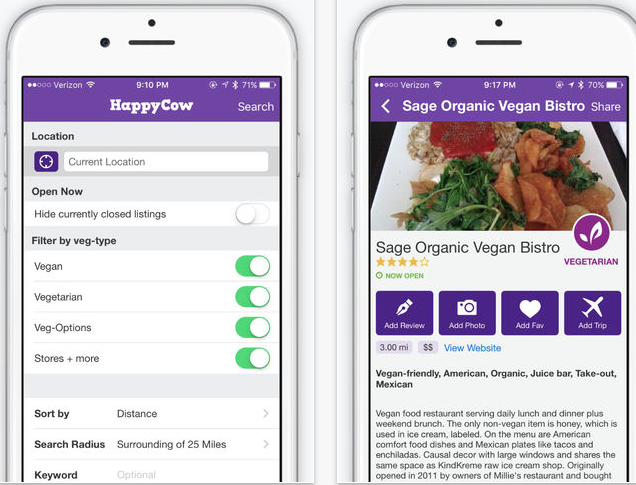 Well, blogs like that are a thing of the past thanks to HappyCow – a worldwide vegetarian and vegan restaurant guide available online and in App form! HappyCow is a company dedicated to making healthy, vegetarian, and vegan food easy to find – wherever you are! This includes finding suitable yummy delights at restaurants, bars and cafes as well as shops and delicatessens, all over the world. HappyCow also encourages likeminded people to get together in its own online community. 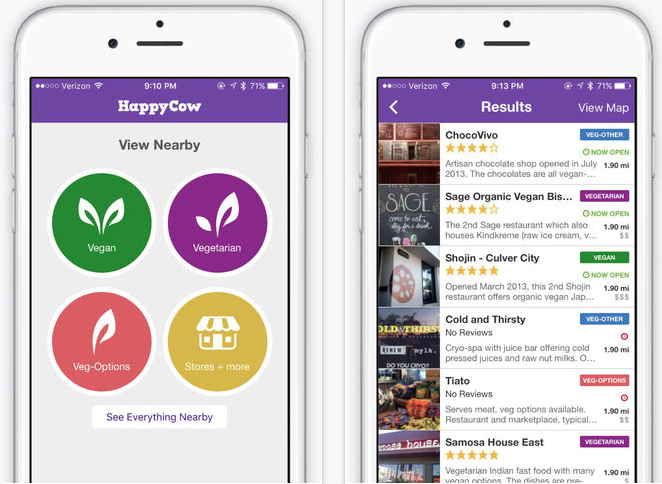 What does the HappyCow app do? What do the HappyCow reviews say? Easy to use, easy to understand and jam-packed with excellent information provided by the whole HappyCow community – that is the general consensus of the very happy and very large majority of users. 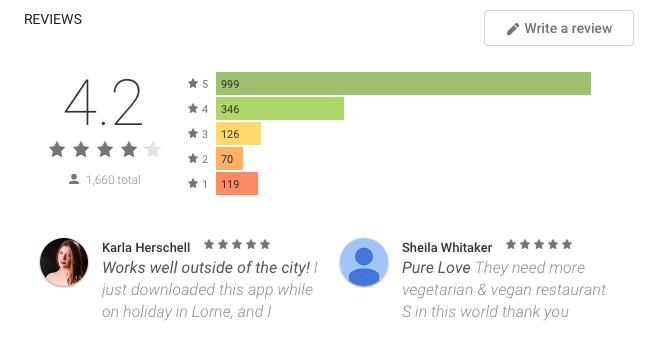 To be fair to HappyCow, any negative points that have been raised in app store reviews have been fairly answered and explained, and they are actively using feedback to improve user experience. We think this app is fabulous for all foodies – anyone who likes to embrace a healthy way of living and eating – and an absolute gem for free from meat foodies who like to travel the world! This entry was posted in travel apps on February 26, 2016 by worldwideinsure.